CALBAYOG CITY- About 300 policemen were deployed in Samar province to ensure that the conduct of the barangay and Sangguniang Kabataan(SK) elections will be orderly and free from any possible violence. This was disclosed by Chief Supt. Gilberto Cruz, police regional director, who said that the augmented force were deployed since last week to secure the conduct of the balloting in the first district of Samar, particularly this city. Cruz added that they had already coordinated with their counterparts at the Philippine Army through Major General Raul Farnacio, commanding officer of the 8th Infantry Division, for them to beef up their own personnel in Samar relative to the May 14 elections. But City Mayor Ronaldo Aquino appealed to Cruz that the deployed police force be placed under his directive and not with the provincial headquarters. Aquino said that it would be better if the regional police headquarters will supervise the deployed policemen to make sure that there will be no question of bias during their operations. “I would like to appeal that the said police force will still be under the supervision of the region. It is better that way so that there will be no question of bias,” the city mayor, who was once the chairman of the Regional Peace and Order Council, said. The current chair of the said council is Samar Governor Sharee Ann Tan, who is not politically aligned with Mayor Aquino. Cruz assured that the battalion will still be under the regional police. 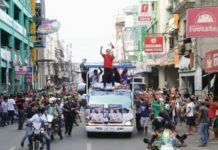 “We will knock on the doors of erring barangay officials or those who frightens the barangay officials and the candidates,” Cruz added. Calbayog has always been identified as a hot spot during elections due to series of incidents related to the balloting. Since the start of the barangay and SK election period, two election-related violence have been reported in the city. The first election-related violence involved a candidate for chairman in Barangay Catabunan, Christopher Branzuela, on April 26 and the second incident happened on May 2 involving a husband of a candidate for councilor in Brgy. San Jose. The fatality was identified as Teodorico Francisco, whose wife, Jaquilia, is running for village councilor. 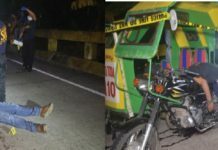 Police records have indicated that for the last three years, about 173 shooting incidents happened in the towns of Gandara, Sta. Margarita, Matuguinao and San Jose and this city, where most of these incidents happened. The incidents were allegedly perpetrated by private armed groups (PAGs). However, Cruz said that there is no legal basis linking these groups to a certain politician and due to lack of other indicators that will classify these groups as PAGs. “There is no legal basis linking these groups to a politician that is why we cannot consider them as PAGs, instead these groups were classified as criminal gangs,” Cruz said. Cruz added that they had already coordinated with the AFP and that Major General Raul Farnacio, commanding officer of the 8th Infantry Division, had committed to augment his men.